This image is a result of my cooperation with Arne Danielsen from Norway. It is made of 99 particular images taken on the same evening from Brno (Czech Republic) and Vestby (Norway). 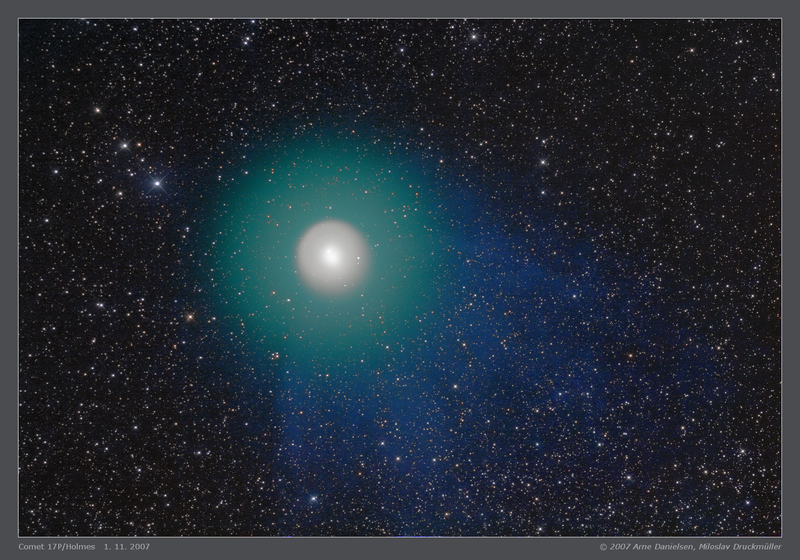 The large number of images enabled to visualize well all parts of the comet including the very faint blue ion tail, which was of a very complicated structure. 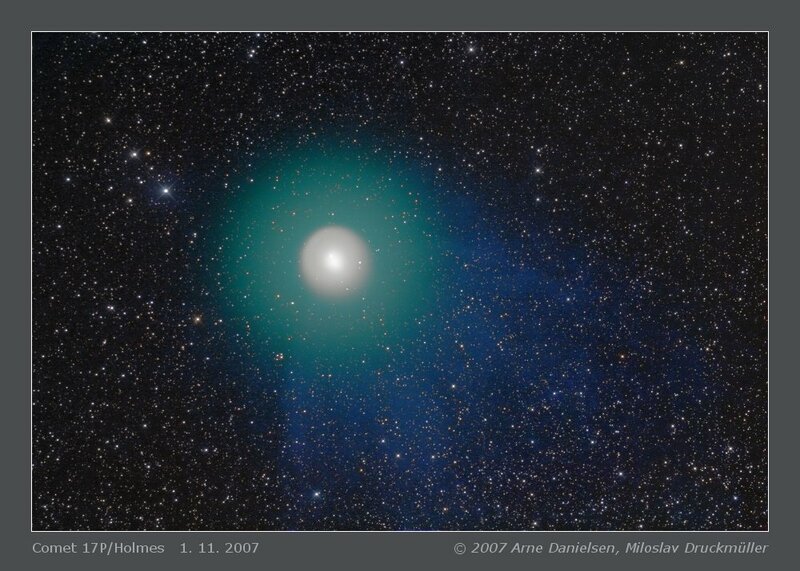 The Holmes comet was on its orbit not very far from the opposition in respect to the Earth, and since the comet's tail pointed away from the Sun, this means that observers on the Earth were looking nearly straight along its tail. Such front view on a bright comet is very unusual and enabled to make an image with fantastic 3D feeling. Comet viewing geometry: solar elongation 140.5°, phase angle 14.8°, distance from the observer 1.622 AU, distance from the Sun 2.470 AU. Click on the image or on the following reference to display the higher resolution image version (3.9 MB, PNG format).